Here is a model that I built a little while ago. 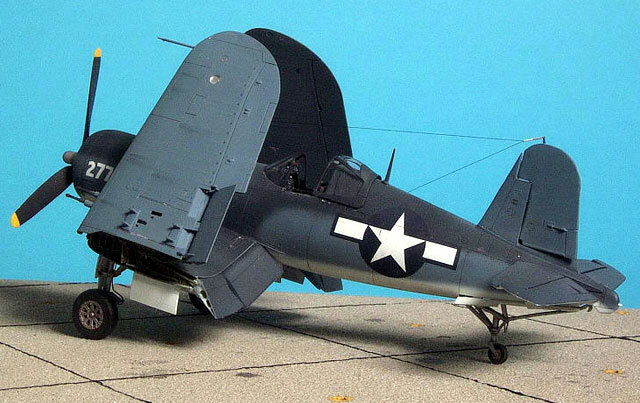 It is a conversion of a 1/48 Tamiya F4U-1A to a F4U-1C, a rather little known variant of the Corsair. 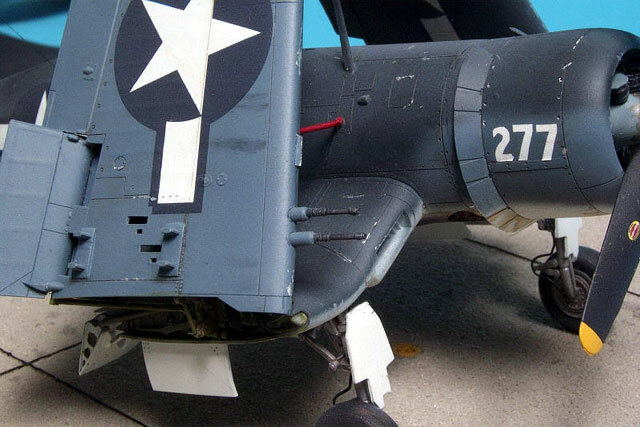 It was the first 20mm cannon armed Corsair and was used primarily for ground attack, owing to the small amount (1000 rounds total) ammunition load it could carry. 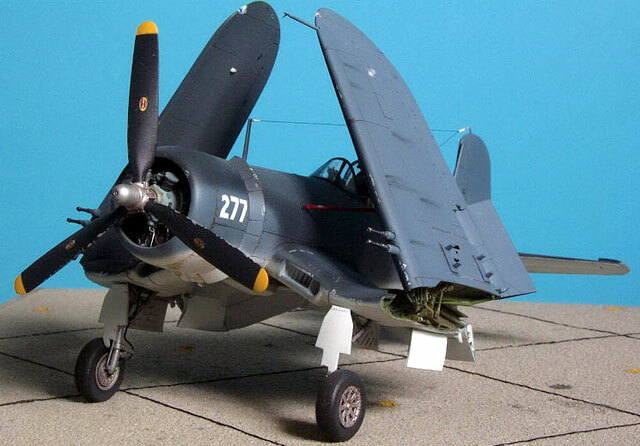 Vought only built 200 of them and only the very first one (that I have chosen to depict) was painted in the tri-color scheme. All others were overall Gloss Sea Blue. I pretty much completely rebuilt the cockpit (about 80% at least) and engine, fleshed out the wheel wells and gear struts and thinned out the wheels from behind making them true spokes, and scratch built the cannons and blisters over the breeches. 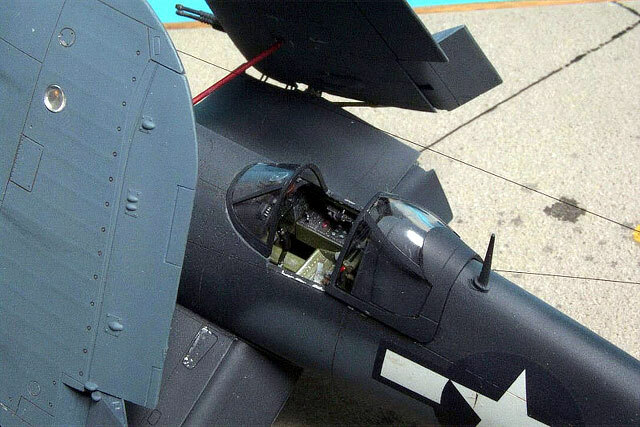 This version required a -1D prop, which was the only part outside of the kit that I used. The -1C was outfitted with zero length stubs but only on the inner pair. The decals are a combination of kit and home made. As this aircraft was never operational, weathering was minimal, confined to a few paint chips here and there and the ever present oil leaks. Model Master enamels were used throughout.